View more products from RESCUE! 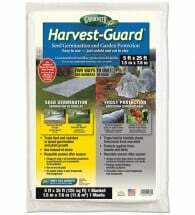 Defense for the Home & Garden! 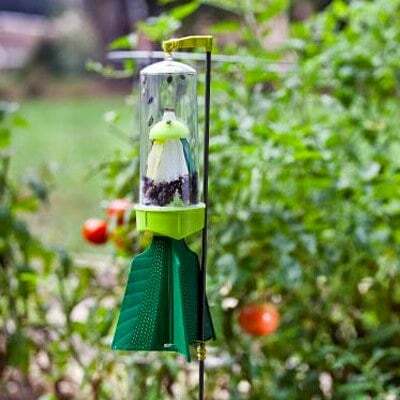 The RESCUE Stink Bug Trap contains multiple pheromones to lure and capture pests from up to 30-feet away. Once inside, the device’s unique design prevents escape and the pest eventually dies of dehydration. 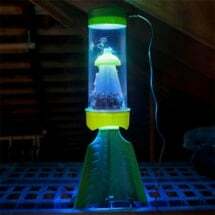 The time of year and the stage of the pest’s life-cycle will dictate the optimal placement of the Stink Bug Trap. Spring and Early Summer: Hang in a deciduous tree. 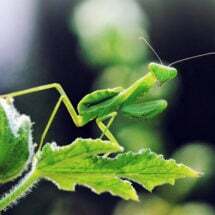 After mating, adult females seek out leafy trees to lay their eggs. Other foliage and shrubs can be used if a tree is not available. Mid-Late Summer: Place around gardens to draw pests away from protected areas or intercept them before they can enter. Late Summer and Early Fall: Hang within ten feet of your house to intercept adults before they can enter. Make sure to protect homes from all sides. Floating row covers let in sun, water and air… but keep bugs out! Protects to 26°F. 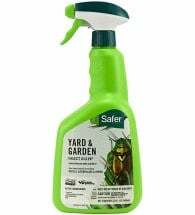 Kills aphids, beetles, ants and caterpillars on contact, yet is gentle on plants.